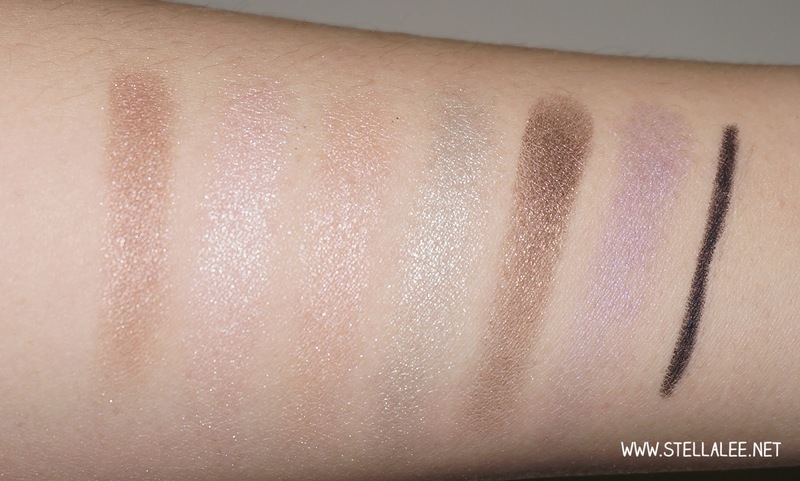 Now I am here with a review of one of my used eye shadows palette, which is Urban Decay the Feminine Palette! 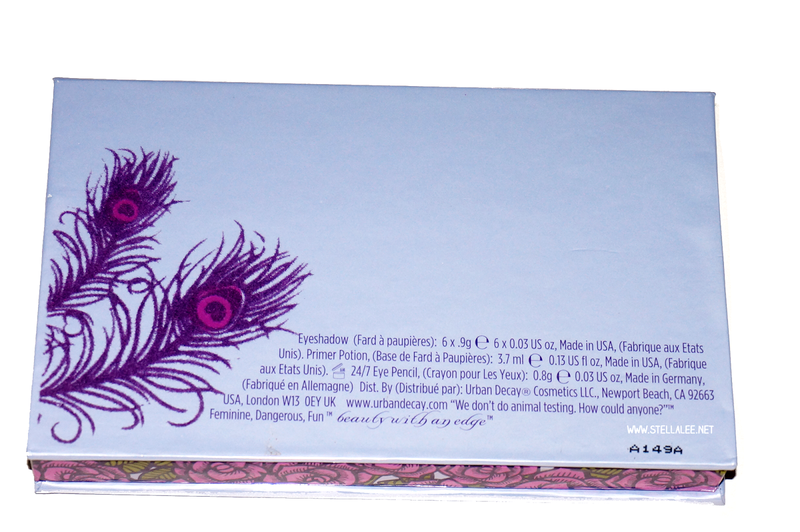 Printed on the back of the packaging about the products inside and other informations. 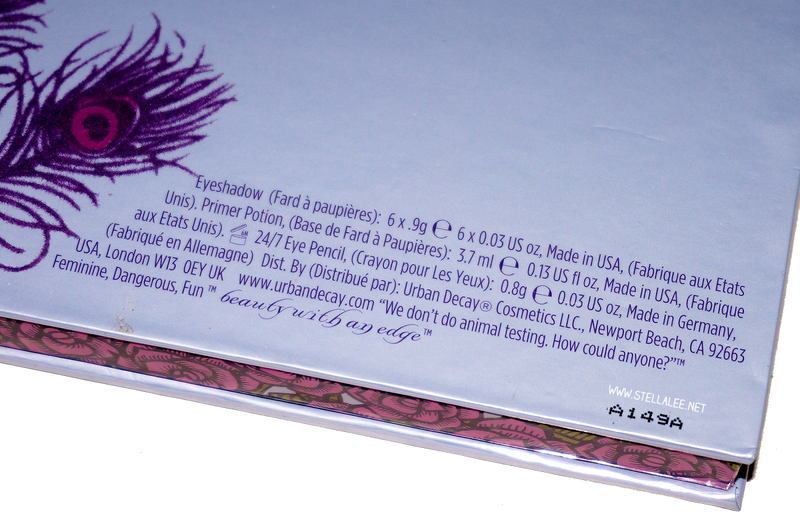 The best thing about Urban Decay is they don't do animal testing! 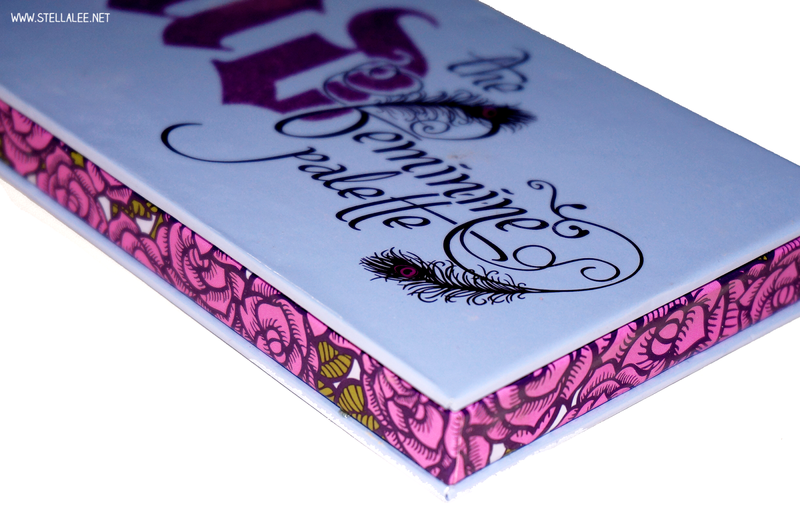 The palette comes with mirror and a travel size of Urban Decay 24/7 in Zero which is one of the best pencil eyeliner I have ever tried. The eyeliner is creamy, smooth, pitch black, doesn't smudge, and it stays on my eyes. It's super awesome! Here are all the colours. It consists of 4 brown-peachy shades that's very wearable for everyday use, and also 2 other interesting shades. All of the colours come in a soft subtle shimmer and it is indeed gives feminine look. I really love shimmery eyeshadows because in Japanese make up, it is the key to help brightening up your eyes. However I am a little bit disappointed that some of the eyeshadows fall out, hence I have to carefully apply it or do my eye make up first before face make up. 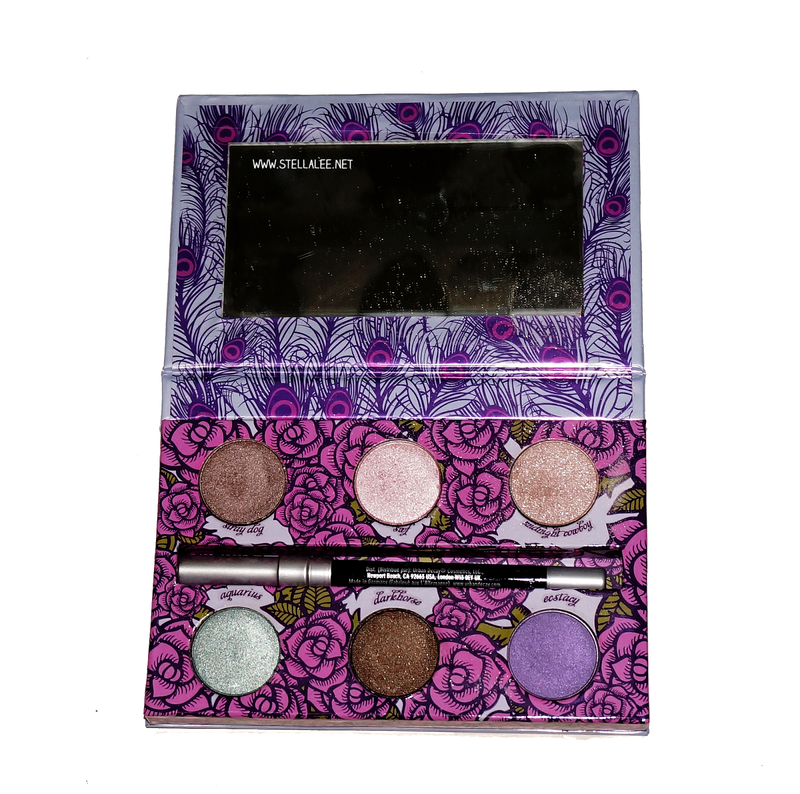 I love this palette especially the colours that they provided but I am disappointed by the quality of some eyeshadows, I know the fall out is not as bad as some bad products but I expected a higher quality from a brand "Urban Decay"
I mean, 34$ for 6 eyeshadows, 1 travel size eye primer, and 1 mini 24/7 eyeliner in zero, I think it is not bad.. 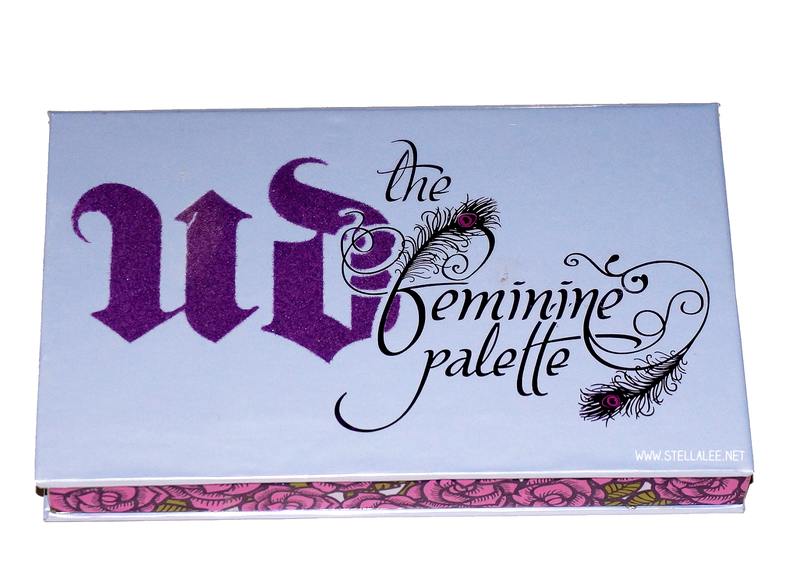 The colours look lovely <3 I love urban decay ^^;; adding this to my wishlist! I had my eye on the Feminine palette when it first came out. 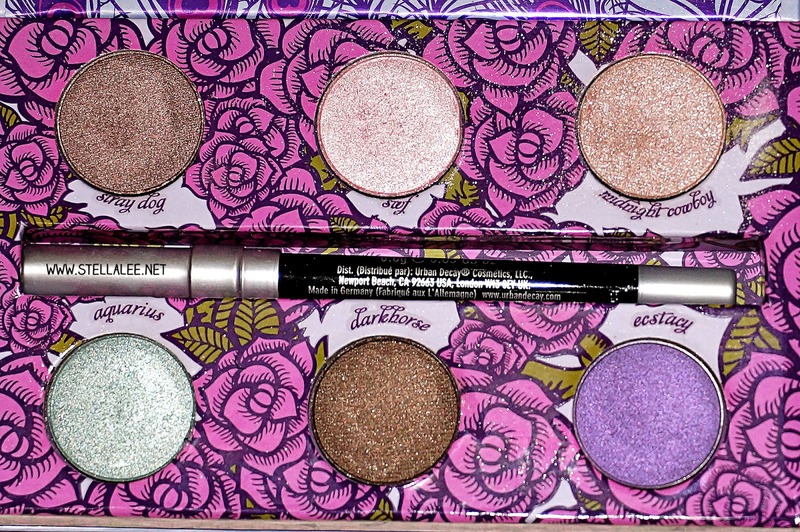 The colors look lovely, and I love the cutesy packaging. Bummer about the fallout though (I've dealt with that using a glittery UD shade), but usually Urban Decay shadows are so nice! how about the price stel? It looks really nice, but I don't use eyeshadows much, so I giess it's not for me ^^"